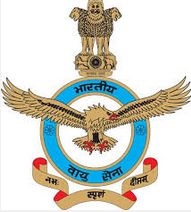 Indian Air Force has published a Advertisement for below mentioned Posts 2015. Check below for more details. Passed Three years Diploma Course in Engineering (Mechanical / Electrical / Electronics / Automobile / Computer Science / Instrumentation Technology / Information Technology) from a Government recognized Polytechnic Institute with 50% marks in overall aggregate, and 50% marks in English in Diploma or in Intermediate/Matriculation, if English is not a subject in Diploma Course. Passed Two years Vocational Course recognized by Association of Indian Universities (CBSE / Board of Vocational Higher Secondary Education Kerala) with minimum 50% marks in aggregate and 50% marks in English in Vocational Course or in Intermediate/Matriculation, if English is not a subject in Vocational Course. Selection Process : Selection will be based on Written Test and Adaptability Test & Physical Fitness Test (PFT) and Interview. How to Apply: Interested candidates are requested to remain present along with all original certificates to given address in advertisement.